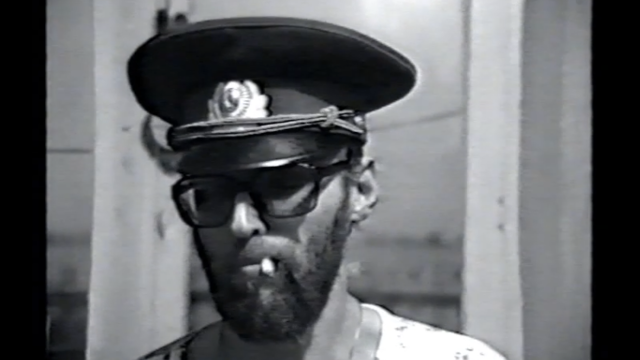 Subversive affirmation, over-identification and mimicry were typical practices within Eastern European Performance Art during the dictatorship era. Through these devices, performance artists could investigate or question the official culture but also merge into it as under a cap of invisibility. Such practices were also raising a crucial question that has lost none of its relevance: is an affirmative critique possible? Can (over-) affirmative critique open up a space beyond irony, satire and parody – all of which were serving/operating as a negative foil to the ruling ideology? The planned publication will analyze these practices based on concrete performances and political actions on the one hand and, on the other hand, it will try to locate the question of affirmation as resistance within the context of other repetition practices in a broader cultural-theoretical and philosophical context, and compare it to the notions of simulacrum (Barthes), of re-enactment (Robin G. Collingwood), and of the affirmative (Nietzsche, Deleuze, Butler, and Brock). Moreover, an analysis of what theoretical concepts have resulted from the artistic devices themselves will be pursued (e.g., Slavoj Žižek’s theory of over-identification). Sylvia Sasse, Caroline Schramm: “Totalitäre Ästhetik und subversive Affirmation,“ Welt der Slaven, LXII 1997, 306-327. Sylvia Sasse: “Texte in Aktion. Sprech- und Sprachakte im Moskauer Konzeptualismus,“ München 2003. Inke Arns, Sylvia Sasse: “Subverzivna afirmacija: o mimezisu kot strategiji upora (Subversive Affirmation. On Mimesis as Strategy of Resistance).“ Special issue of Slovene Journal Maska Letnik XIX/3-4 (98-99) 2006. Sylvia Sasse: “Den Staat an seine Gesetze erinnern. Dissidenz als Wissen vom Recht,“ in: Wissen was Recht ist, hg. von Svenja Goltermann und Monika Dommann, Feierabend. Zürcher Jahrbuch für Wissensgeschichte 2015, 107-133. A striking feature of Socialist Yugoslavia’s artistic scene indulging in performance art is the recurrence of collaborative work and of artist couples performing together. Be it individual artists pairing up and forming artistic duos for a certain lapse of time or wedded couples putting on performances together repeatedly or sporadically over the course of their artistic careers, twosomes are overtly present in the Yugoslav scene throughout the 1960s to the 1980s. 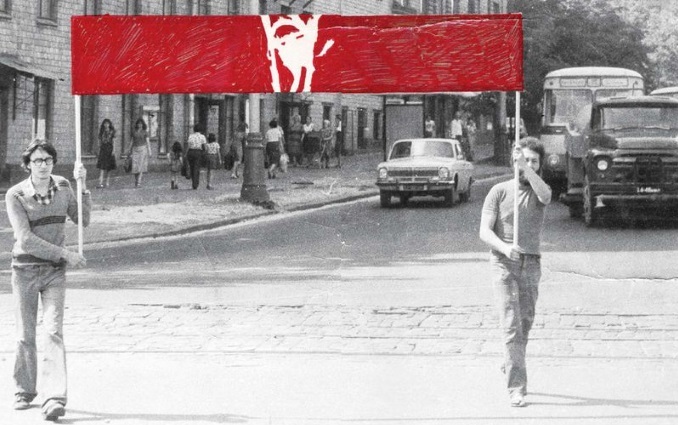 So much so that in June 1974 there was a show in the gallery of the Student Cultural Center (SKC) in Belgrade curated by Raša Todosijević that was entitled “1 & 1” and that displayed the artistic positions of fourteen artist pairs. Not only is it interesting to take a closer look at this 1974 exhibit and at Yugoslav performance art from this angle because of the sheer number of pair performances, but also because these performances elicit a reflection on twosomeness/doubleness and on dialogic, binary or agonistic work processes in art. Pair performances or happenings not only explore issues of gender representations and relations, balance of power and of authorship, but, at their very core, also investigate basic figures and facets of the binary and of the dialogic–“by doing”. Heavily based on archival material, this doctoral project sets out to investigate the diverse forms of teamwork/pair work in performance art. Scrutinizing the pair performances and the ‘performing pairs’ might help us gain some insight into gender and societal issues in Tito’s Yugoslavia and also allows us to find out how this discourse possibly helps fashion a new definition of art. This subproject will be dedicated to actions, which were fictive in different senses. Some of them were never carried out, although it was the intention of the author(s) to perform them. They could not be enacted due to some external reason: censorship or self-censorship, bans or other hindrances. Other actions were intended as a thought-based work from the very beginning, existing only as a plan or as an idea of an action. The latter includes, for example, Milan Knížák’s ‘Processes in my Head’ or Wanda Gołkowska’s text action ‘Endless Multiplication of Artworks’, which involved a fanciful narrative about the duplication of artworks. The performative components of Ilya Kabakov’s conceptual installations (like ‘Thy Fly with Wings’) could also be understood as a fictive action with regard to their intended fictiveness. At the same time, many of his performances have never been realized for reasons which were a relevant, but fully external part of their semantics — for example his “Corridor of two fears” for the Berlin Wall Park. At least two aspects of fictive actions are obvious. First, they emphasize the question of how this kind of action can be narrated, reproduced, recorded, fixed, articulated. What lays the foundations of its evidence and remembrance? In what way can the narrative replace the action? What is the fictive’s own mode of documentation? The second obvious point is the end; the termination of a performance as a specific artistic activity. Why do performers stop doing actions and what does this stoppage mean? The planned volume will contain interviews conducted with artists who could not bring their actions to life or who conceptualized their actions as a fictive implementation. In Eastern Europe, a literary and artistic counter-public emerged beyond the reach of the state culture system and developed its own forms of aesthetic existence. Literary texts not authorized by censorship were circulated in handwritten and typewritten copies. In addition to the typescript literature of samizdat, the unofficial cultural milieu attached particular importance to the oral recitation of poems in front of a close-knit audience of friends–poets, artists, theorists and critics. The writing practices of samizdat have already received considerable attention within the framework of various projects. The presentation of the poetry by way of poets’ readings and poetic performances, however, has hitherto been neglected and will be a topic of the research area. In recent years, the bias towards text has been called into question by a new research interest in acoustic phenomena and the voice which is motivated by a reorientation towards the performative. A shift of perspective from self-contained works and finished texts to processes of production and reception is taking place. The focus is now on the text placed in a situational context of perception by an audience. The interrelation between poetical acts, texts and situations functioned as a precursor and a trigger for the aesthetics of performances and happenings –- a very specific and notably Eastern European characteristic of performance art. In his apartment in Belyaevo on the outskirts of Moscow Dmitry Prigov is reading from the Militiaman cycle, probably his most famious cycle of the seventies. From: Günter Hirt / Sascha Wonders: Moskau. Moskau. Videostücke, Wuppertal: Edition S-Press 1987. In this research area the workshop „Prigov – Multimedia, Performative, Translingual. Dmitry Prigov’s legacy as a multimedia artist and writer“, organized by Tomáš Glanc and Sabine Hänsgen, took place in the National Library of the Czech Republic (Prague) from 5-6 December 2014. This aspect is of particular importance in the work of Dmitry Prigov, who, from the 1970s onwards, developed a unique version of experimental poetics, that deals with text and graphics, or with the sound realization of words and verses. He specialized, amongst other things, on poetic performance, which comprises an essential part of his work. In the five points of the Star Summer Palace, the basic forms of Prigov’s work and the ways in which they relate to Havel’s Anticodes’ and Czech experimental poetry will be presented. Gnezdo, Demonstration, “Art into the mass“ (Iskusstvo v massy) 1978, http://os.colta.ru/photogallery/998/7905/. Totart (Anatoly Zhigalov, Natalia Abalakova), “Window I” (Okno 1) 1983, http://conceptualism.letov.ru/TOTART/window-1.html. Milan Knížák, Ken Friedman, “Commit Atentat Upon Everyone Who Is Preparing for War” (Assassinate Anyone Preparing a War). Photocopy from Milan Knížák’s Performance Files, 1967, The Museum of Modern Art, New York. The Gilbert and Lila Silverman Fluxus Collection Gift, 2008, http://post.at.moma.org/content_items/683-milan-knizak-and-ken-friedman-keeping-together-manifestations-in-a-divided-world. Hirt / Wonders: “Moskau Moskau“. Videostücke, Wuppertal: Edition S-Press 1987.